February 19, 2018 – YES! 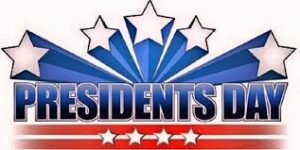 We will be open on Monday, February 19, 2018 for you to come shop and have fun! 10:00 a.m. to 5:00 p.m. See you soon! 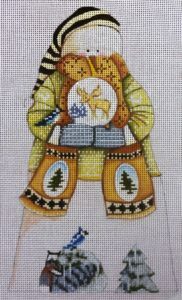 December 31, 2017 – Last Sunday Stitch-In of the month and 2017, from 10:00 a.m. to 4:00 p.m. Hot cider will be provided to celebrate the New Year! Bring some snacks or treats to share! See everyone there! December 24, 2017 – We want to wish everyone a Merry Christmas! Thank you to all our friends and customers for making 2017 such a fun year at A Stitching Shop! Look forward to seeing/hearing from everyone in 2018! Keep safe in your travels! We will be closed on Sunday, Christmas Eve and Monday, Christmas Day. 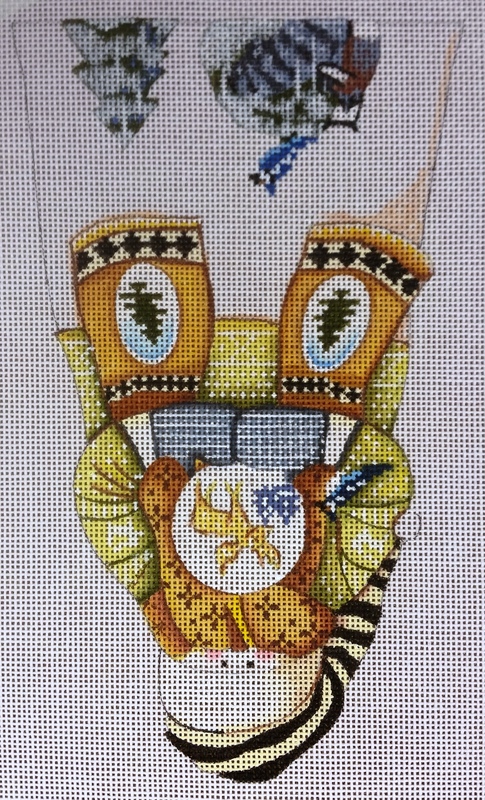 December 18, 2017 – Sunday, December 31, 2017 – Last Sunday of the Month Stitch In at A Stitching Shop. Stop by anytime from 10:00 a.m. to 4:00 p.m. or stay the whole day! This group has some of the nicest people in it! Come join in the fun! November 22, 2017 – We want to take a minute and thank each and every customer for your friendship and to have a Wonderful Thanksgiving! 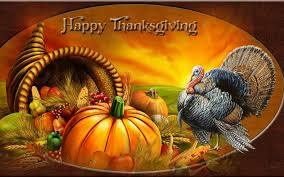 Enjoy the day off with family and friends. We will be closed on Thursday, November 23, 2017! November 12, 2017 – DMC-35 New Colors Have Arrived for $21.00 for one skein of each color! Go to “New Products” to order at this special price! November 11, 2017 – Yes, we are open today “Veterans’ Day” in celebration of all Veterans!! 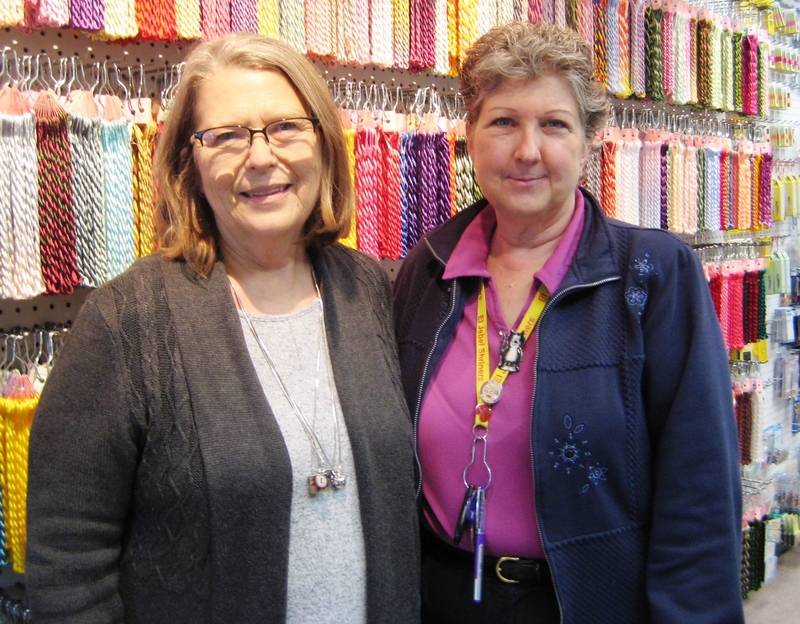 October 22, 2017 – We have the Susan Roberts Trunk Show until the end of October! Buy the canvas and get 20% off and buy the threads at the same time and get 20% off. We will be glad to pull threads if you are out of town! 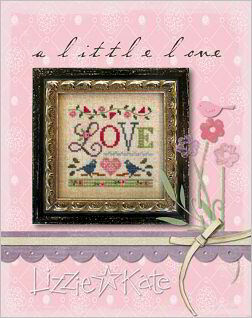 Don’t miss these spectacular canvases and threads at great prices! 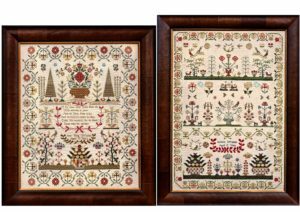 October 12, 2017 – We have the new Limited Edition Hands Across the Sea Samplers “Isabella Unffindell 1829 and Ann Tong Uffindell 1835”!!! There is also thread packs and fabric!!! To order click on the pictures below!! This is two charts in one and they are beauties! September 30, 2017 – “Beginning Cross Stitch on Linen” with Claudia! Saturday-October 14, 2017 from 1:00 p.m. – 4:00 p.m. 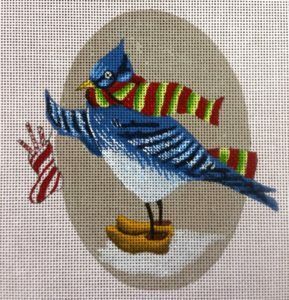 There are only a couple spots left and this will be the last class for 2017. Signup now if you want to learn with this fabulous teacher! 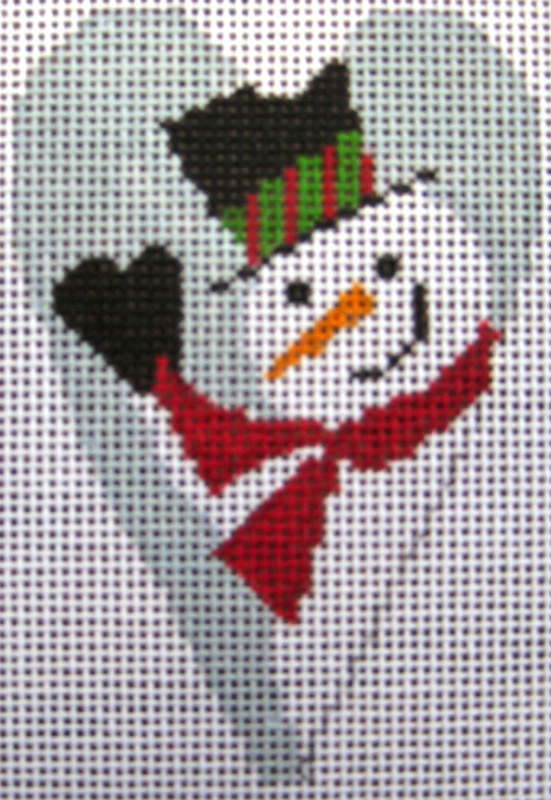 Call the shop at (303) 727-8500 or sign-up on www.StitchingShop.com. September 4, 2017 – Yes! We will be open on Monday, Labor Day! From 10:00 a.m. to 5:00 p.m. Stop by to say “hi” or check out what is new! Have a fun and safe Labor Day with your family and friends! August 11, 2017 – The new Inspirations is out and all subscriptions have been mailed! We still have some in stock if you want to get this one or start a subscription (best pricing). There are a lot of great projects in this one! August 2, 2017 – Michael Powell is our newest designer to be added to our stock! 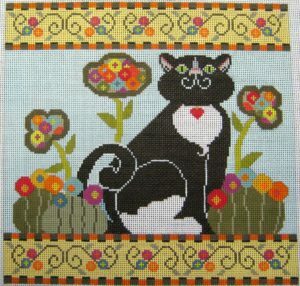 Wonderful, whimsical designs! 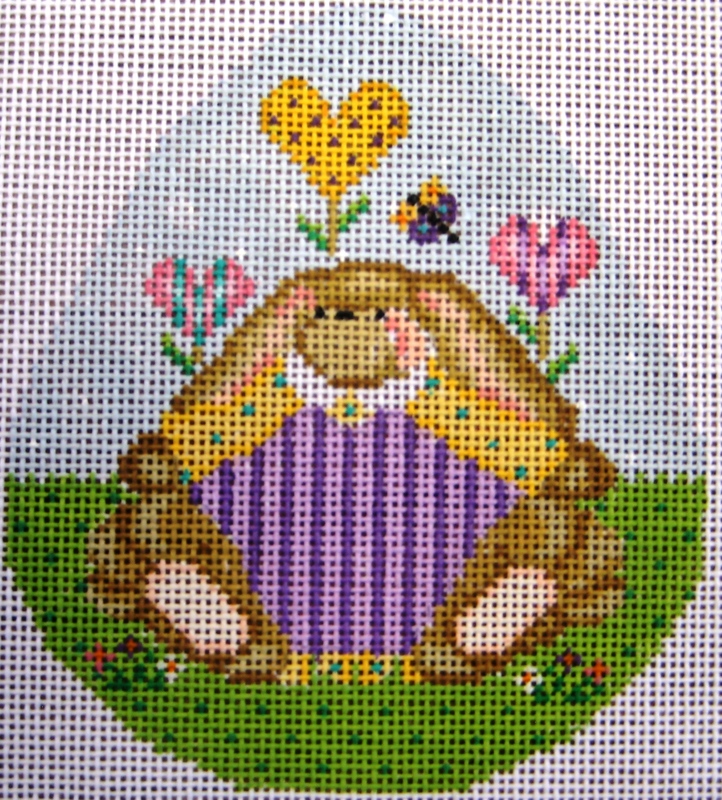 Kelly stitched this one super quick! July 16, 2017 – Look at this cute box finish by Claudia! We have this chart and other variations in the shop! If you want fabulous finishing and attention to detail, Claudia is the best! Need to start thinking Christmas as the deadline for Christmas is coming fast….September 1, 2017! Yes, it’s earlier, but she gets so busy! July 5, 2017 – We have phones and internet again! So sorry for anyone who tried to call the last two days and didn’t reach us! We will be having our Christmas in July Sale! 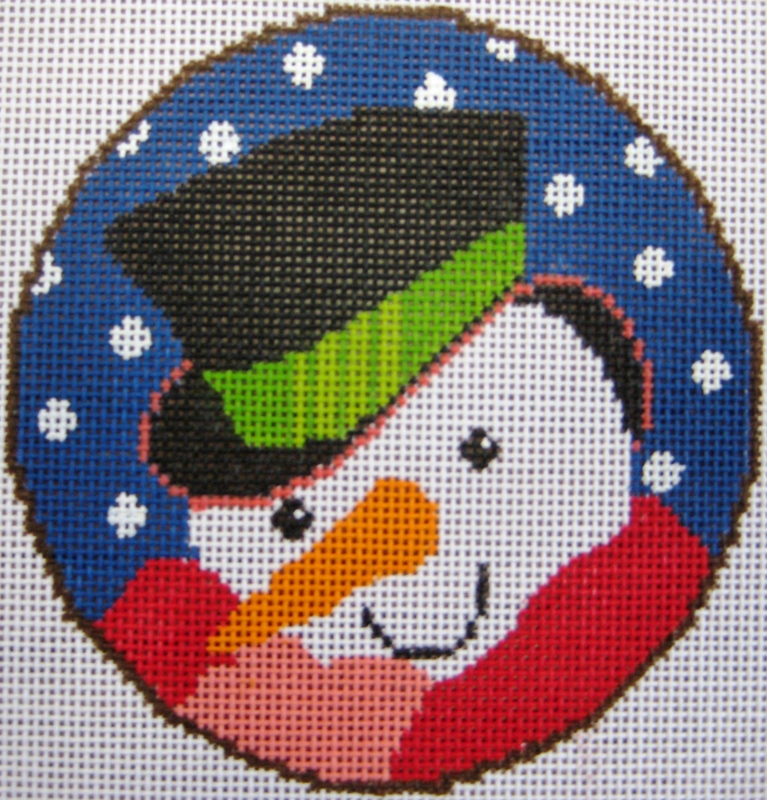 10% off Christmas-related charts and for the fabric/threads that go with it! Stop by and see us for this sale and get your favorite charts! June 28, 2017 – The Best of Painted Pony Canvas Trunk Show continues thru July 4, 2017! 20% off the canvas and threads pulled for the canvas! Look at these wonderful new releases! Call A Stitching Shop (303) 727-8500 if you see one you like! 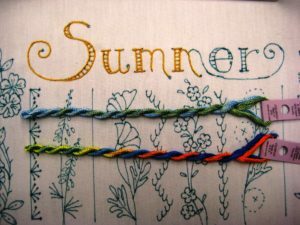 June 25, 2017 – It’s time for the Last Sunday Stitch-In that happens every month on the Last Sunday! 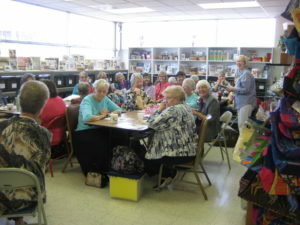 Come in anytime today (June 26) from 10:00 a.m. to 4:00 p.m. to enjoy the company of your fellow stitchers! 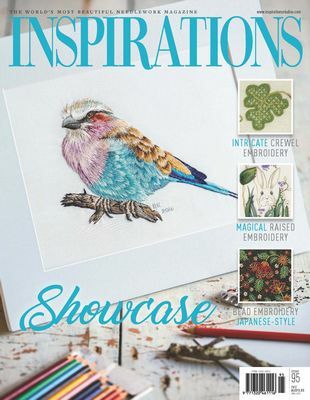 Plenty of inspirations to go around! 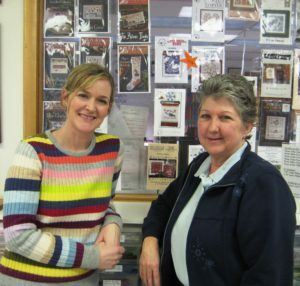 The shop is open for all to come in and stitch or browse. 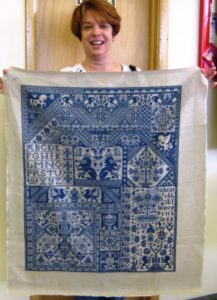 June 12, 2017 – We have only a couple spots left for the “Beginning Cross Stitch on Linen” with Claudia on June 17, 2017 from 1:00 p.m. to 4:00 p.m. $40 includes the class and the kit fee! 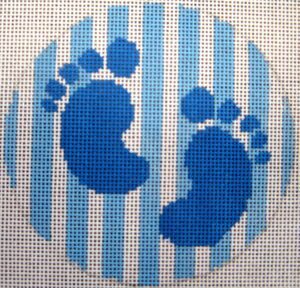 Call (303) 727-8500 or signup on our website www.StitchingShop.com. 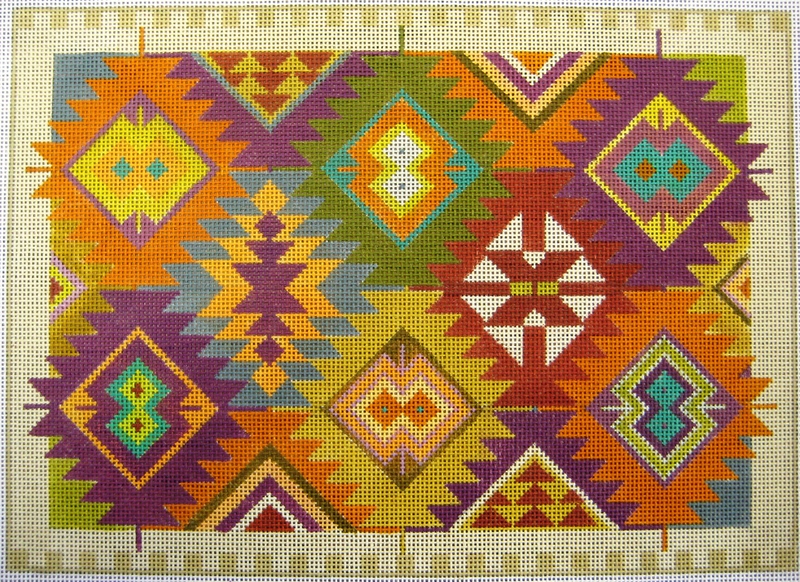 June 8, 2017 – We are very proud to present our free chart for the Collective Stitch project this year created by Candy Scott and Mary Olson of The Workbasket! Come by the shop any time during June and July 2017 to pickup a copy. We also have kits made up! June 7, 2017 – The Painted Pony “Best Sellers” Trunk Show – June 2017 – 20% Off Canvas and Threads! 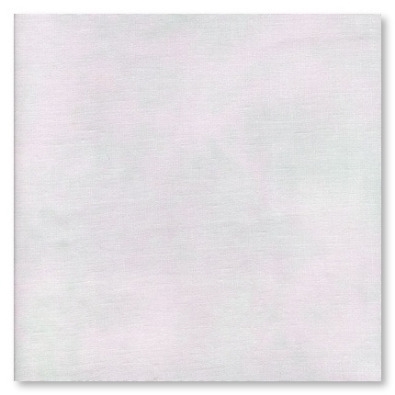 If you don’t find one you love in the 500+ canvases in the trunk show, we will still offer 20% off on any canvas we order from the Painted Pony! 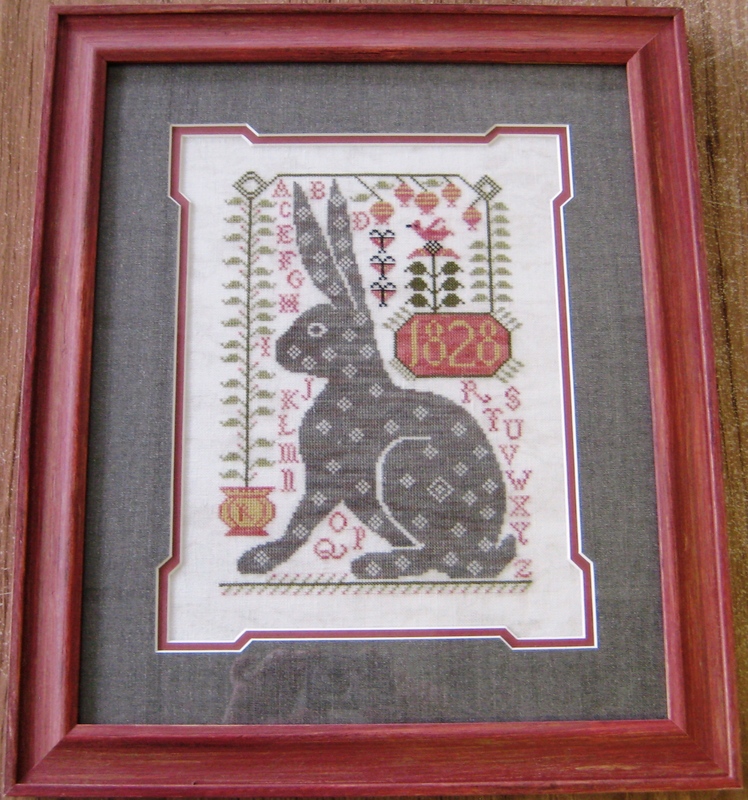 We will also extend the 20% off on threads for your projects purchased from the Painted Pony Trunk Show! 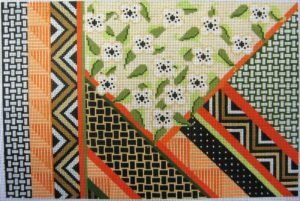 May 30, 2017 – Sneak peak for the Second Annual “Collective Stitch” that will kick-off on June 1 and run thru July 31, 2017! Here are the details: www.CollectiveStitch.com. Visit the 25 participating shops to collect the unique free chart from each shop to make into postcards! 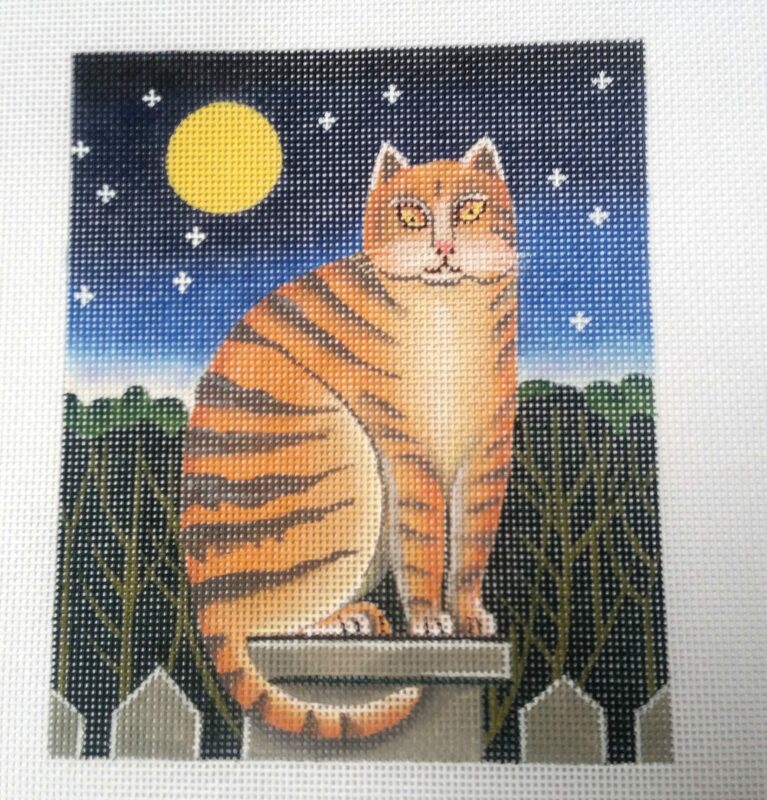 We will have a kit available with the fabric and threads to complete our postcard. 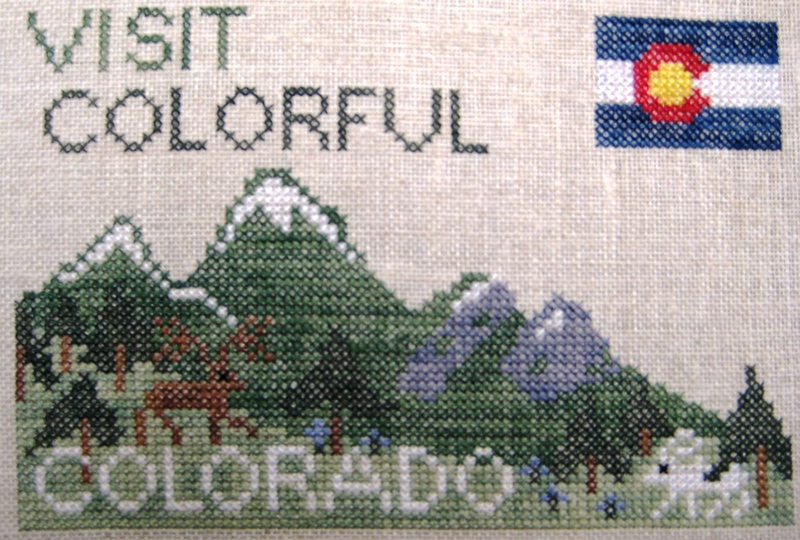 Many thanks to The Workbasket (Candy Scott and Mary Olson) for coming up with such a great Colorado design! If you don’t get around to all the shops, there will be a book available to purchase after the event is over. May 29, 2017 – Happy Memorial Day!! Yes, we will be open from 10:00 a.m. to 5:00 p.m. today in case you run out of threads, need some inspiration or a new project! 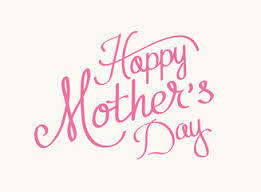 Look forward to seeing you if you need anything or just want to stop by and say “hello.” Enjoy your day off! 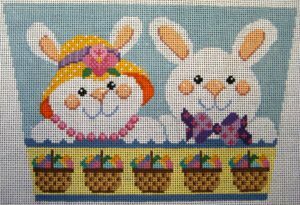 May 28, 2017 – Sunday – 10:00 a.m. to 4:00 p.m.
It’s time for our “Last Sunday of the Month Stitch-In” at A Stitching Shop! 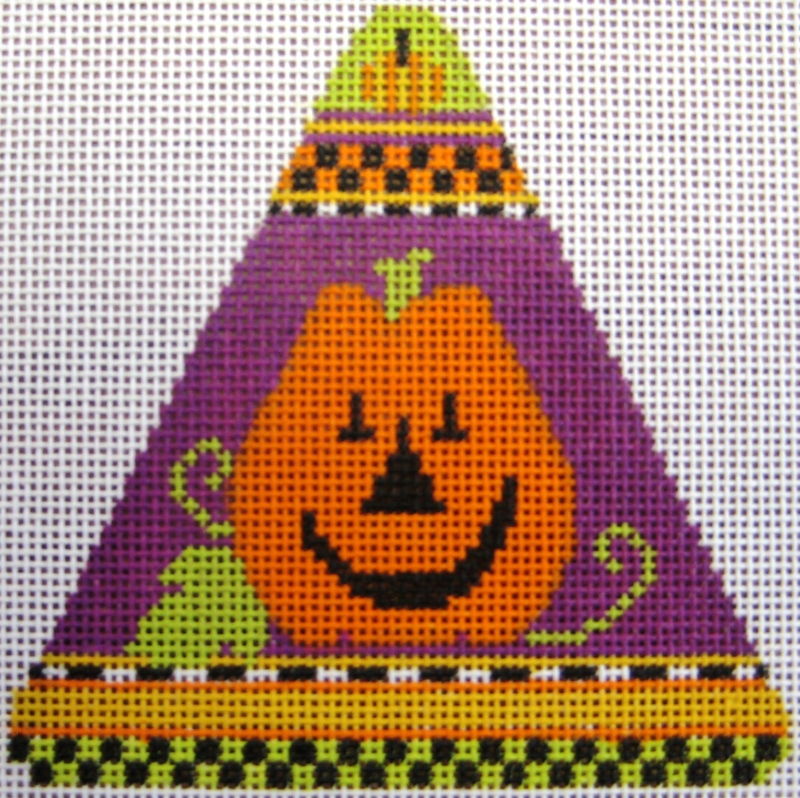 It’s a great time to come out and stitch! Take time from your busy schedule to relax! It’s time to come stitch in a well-lit area for the day with your friends! We are adding tables to accommodate the great turnout we have on this Sunday! Check out our Facebook page to see what’s going on! 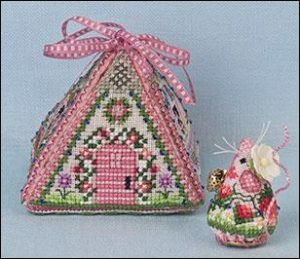 Only Requirement: bring something (anything with a needle and thread) to stitch on and enjoy the good company! We have lots of sunshine through our big windows in the classroom….a great way to spend the day with fellow stitchers. This is becoming a popular event and the group keeps growing, so get there early! Bring a sandwich or something to munch on for lunch or bring some snacks to share. A fun time to see what wonderful projects everyone is working on! See you on Sunday, May 28, 2017! “What’s New?” table with the red table cloth on it for all the new goodies received! 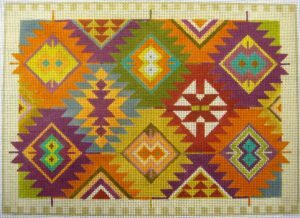 May 20, 2017 – Saturday – 10:00 a.m. – 1:00 p.m. – Canvas Open Stitch! 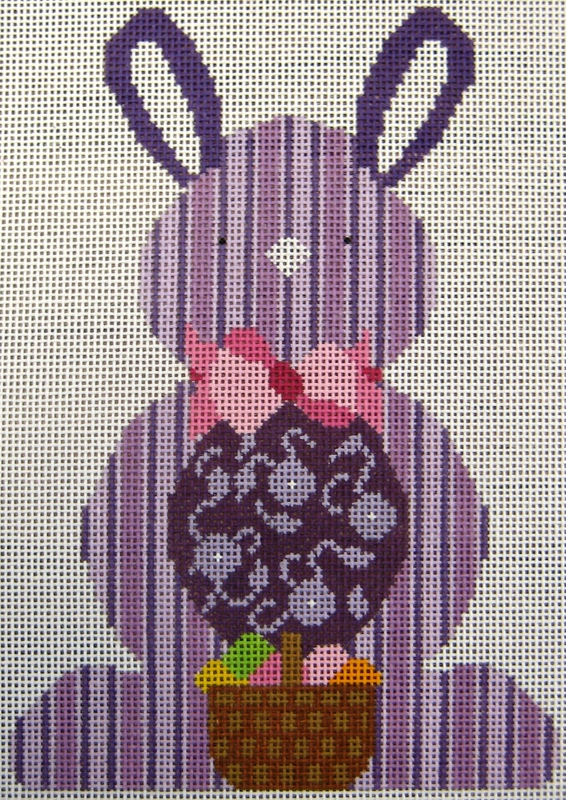 “Rainforest Crunch” from Needle Delights is underway and the group is growing! Joyce Lauener is leading this class project and she already has it half done. This is a great beginner project for counted canvas. Canvas Open Stitch for any other canvas projects! Bring along anything you would like help with today or to show off what you have done this year. 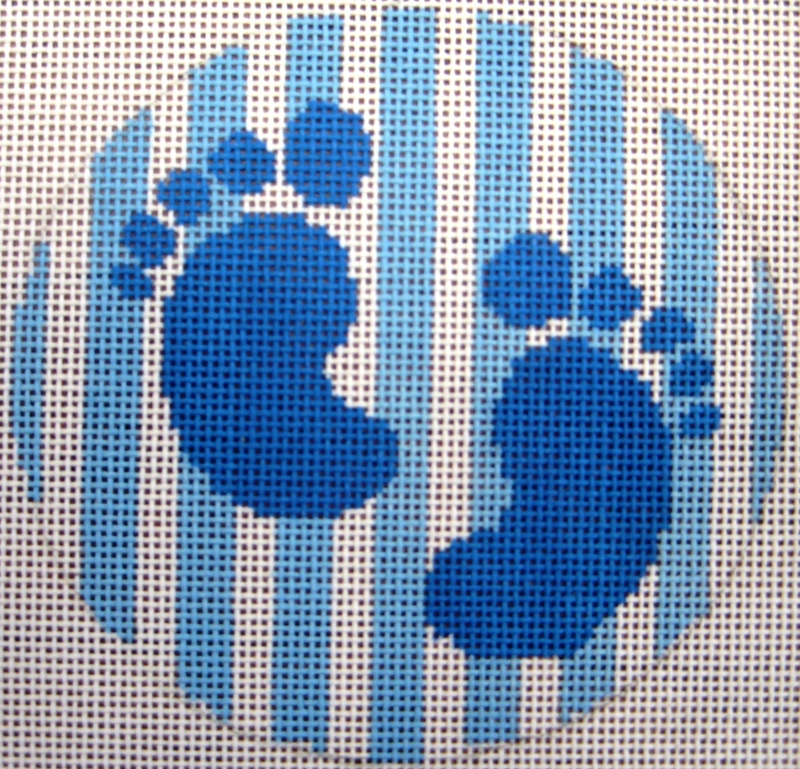 There will be help available at each Canvas Open Stitch for this project or any other canvas projects you may be working on. The classroom is well lit and has a lot of windows for great stitching! May 18, 2017 – Website is back online and ready for orders! Thank you for being patient while we went thru this little crises! May 18, 2017 – URGENT NOTICE — because of a program “update” on this website, an error has occurred which will not allow you to go past this point. Our IT guys are working on it and we will post notice as soon as it is back online–hopefully by the end of today. Sorry for the delay, but you call the shop directly at (303) 727-8500 and they will take your order! Thanks for your patience! May 14, 2017 – We want to wish everyone a Happy Mother’s Day! 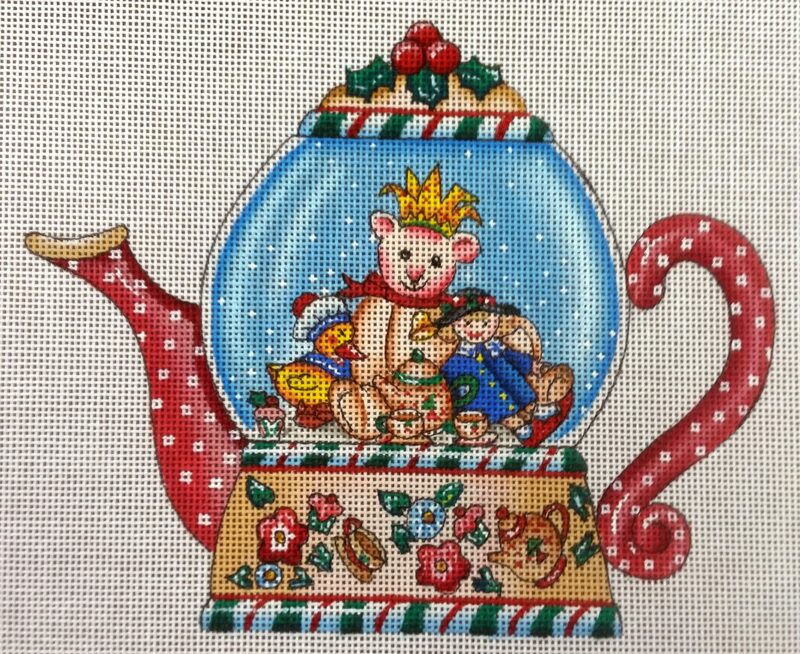 Enjoy some family time and stitching time! 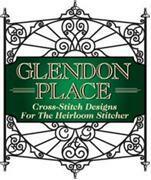 May 7, 2017 – Our May 2017 – Featured Deal of the Month is for Glendon Place! 10% off charts! 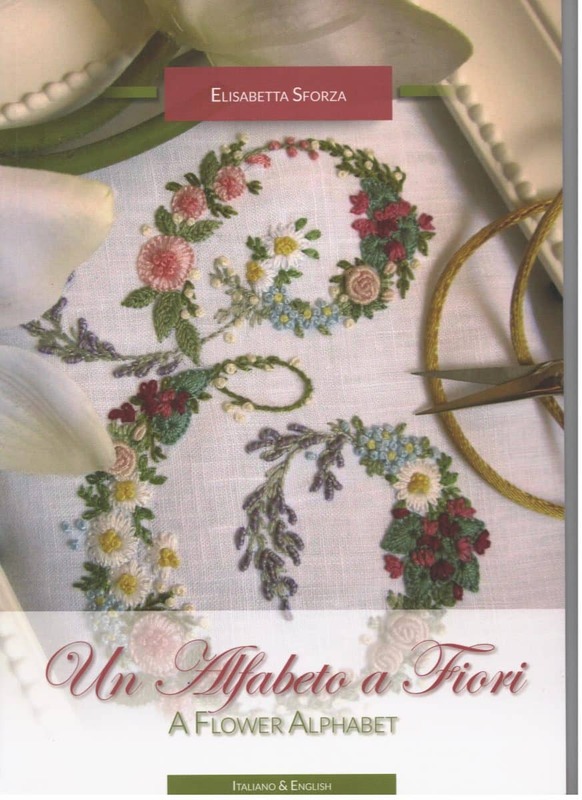 Add fabric/thread for the chart at the same time to get the same discount! 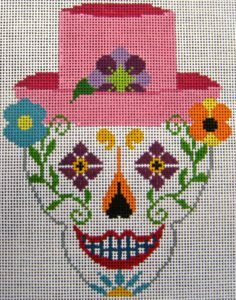 May 6, 2017 – One of our customers came in today with DBC (Death by Cross Stitch) done! Way to go Helmi! Won’t tell you it only took her 6 months! May 3, 2017 – After several inquiries about the book “Inspirations-A Passion for Needlework” is now back in stock at the same great price! 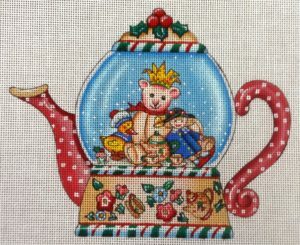 Give us a call or order on our website www.StitchingShop.com! April 30, 2017 – Sunday – 10:00 a.m. to 4:00 p.m.
A fun time to see what wonderful projects everyone is working on! See you on Sunday, April 30, 2017! The shop will be open for anyone who wants to stop by and say “hello” or to do some looking or shopping. 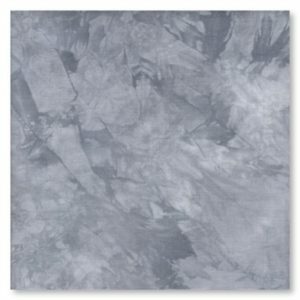 We are constantly adding new items (fabric, charts, etc.) for your enjoyment. Every week we get several boxes in, so there’s new and fun things to see! Check out the “What’s New?” table with the red table cloth on it for all the new goodies received! 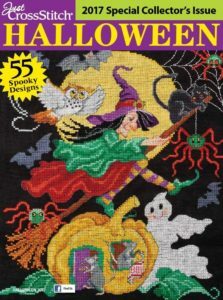 April 23, 2017 – Time to pre-order your Just Cross Stitch 2017 Halloween issue includes 55 projects! 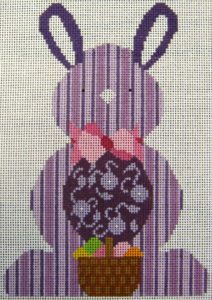 Go to our website at www.StitchingShop.com to pre-order (click on “New Products”). Shipping will start around July 7, 2017 from the distributors. These sell out quickly, so reserve your copy today! SPECIAL NOTE: If you are a subscriber to the Just Cross Stitch Magazine, the Halloween Special Collection Issue IS NOT part of your subscription so you will need to order this special issue if you want to receive it. We still have some of the part 1 “Summer” but they are going fast. This is a limited edition! 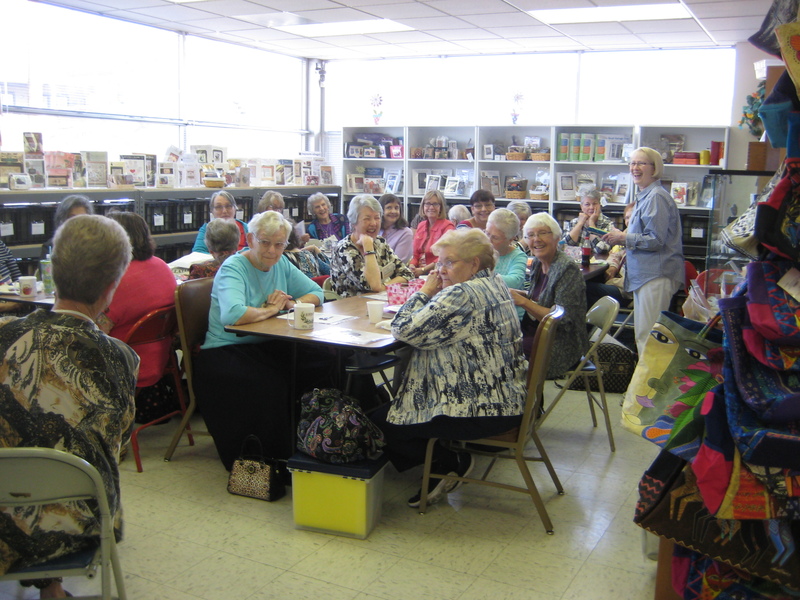 April 17, 2017 – We welcomed the FCE (Friends of Counted Embroidery) group to our shop on Friday for their April meeting. What a great group of ladies! They had a program by Kurdy Biggs and then did a little shopping! It was good to see all the ladies! 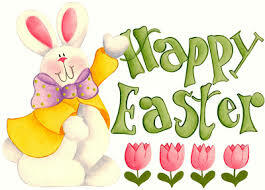 April 16, 2017 – To all of our friends/customers, may you have a blessed Easter Day! April 7, 2017 – Here’s another new framed piece for the shop from Mission Trace Framing! 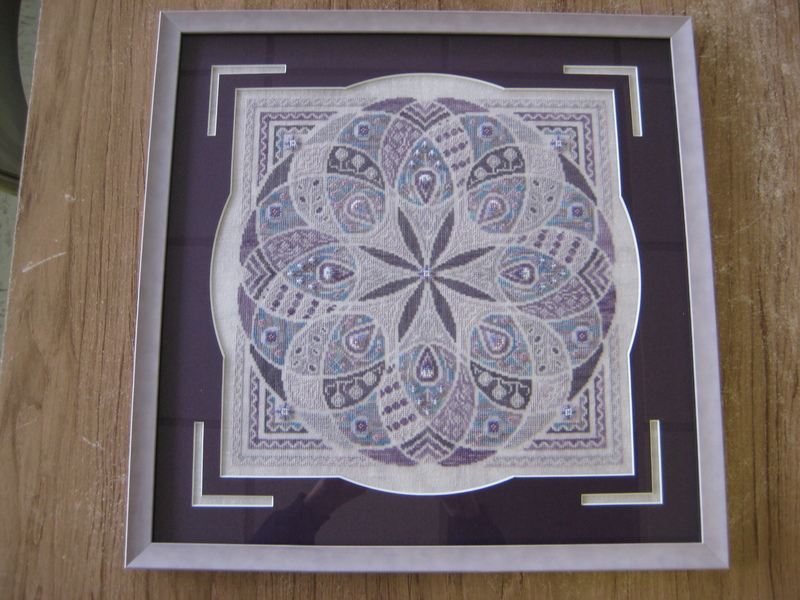 They do an excellent job of stretching and framing for us and our customers! You will need to see this piece in person! Kelly stitched this for us! April 4, 2017 – We were so excited when Lori Markovic of La-d-Da stopped by the shop to say hello and check us out! She was in town teaching a couple of classes for the Sampler Guild of the Rockies. 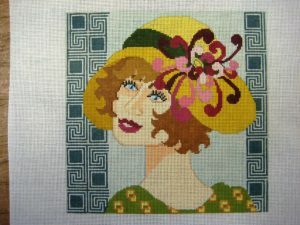 If you get a chance to take a class with her, she is well worth it and delightful! 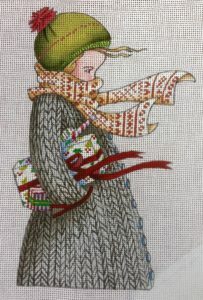 We have a fabulous trunk show from Erica Michaels! Several of the samples are done on the silk gauze! Absolutely amazing! April 2017 — 10% off !! 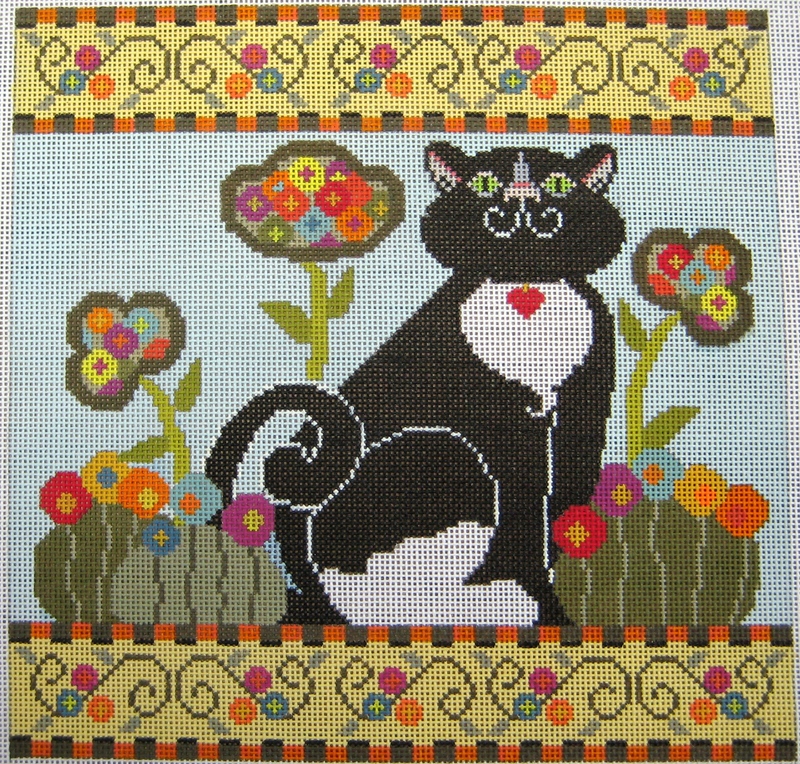 Erica Michaels’ charts…include fabric/thread for the chart at the same time to get the same discount! We have started a new project! In continuing with the season series, we will be taking a regular embroidery pattern and turning it into Brazilian Embroidery. This year we will be working on “Summer”! I will have suggested colors, but you can pick any colors you want to work with your décor. 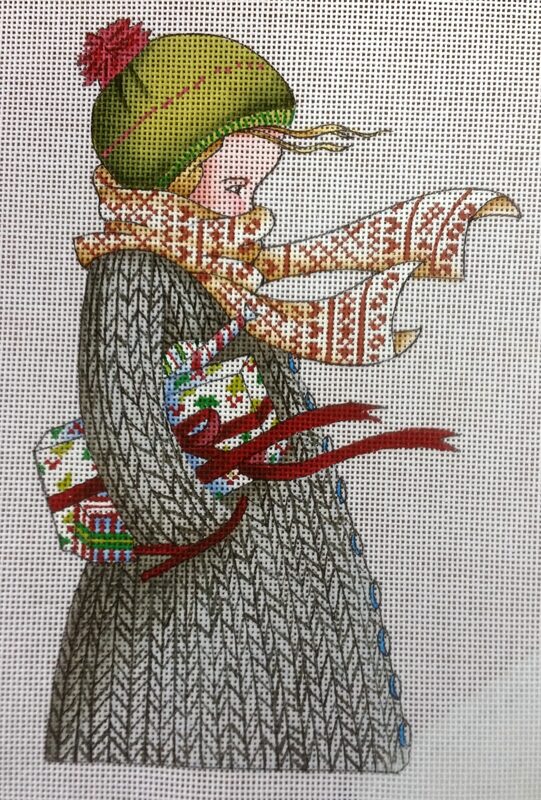 This design can be finished as a pillow or a quilt like the “Winter” was finished. If you already have the “Summer” design, bring it with it. If you need it, let me know. I will have some in the shop. We will work on it thru the year. You can also work on any project during this time! If you need help with other projects or just want to sit and stitch, this is a fun group to join. There’s never a charge for the Guild meetings and we have the only “Colorado Certified Brazilian Embroidery Instructor” to help you with your projects! Don’t forget to bring show and tells! March 24, 2017 – Come and join the Last Sunday Stitch-In at A Stitching Shop on Sunday, March 26, 2017 – from 10:00 a.m. to 4:00 p.m. Bring a snack or something to share for lunch. 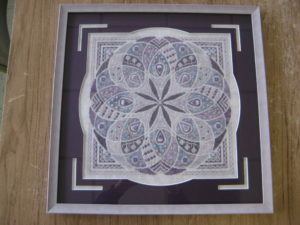 Here is new sample for the shop and framed at Mission Trace. March 18, 2017 – Saturday – 10:00 a.m. – 1:00 p.m. – Canvas Open Stitch! We have a new start for 2017! 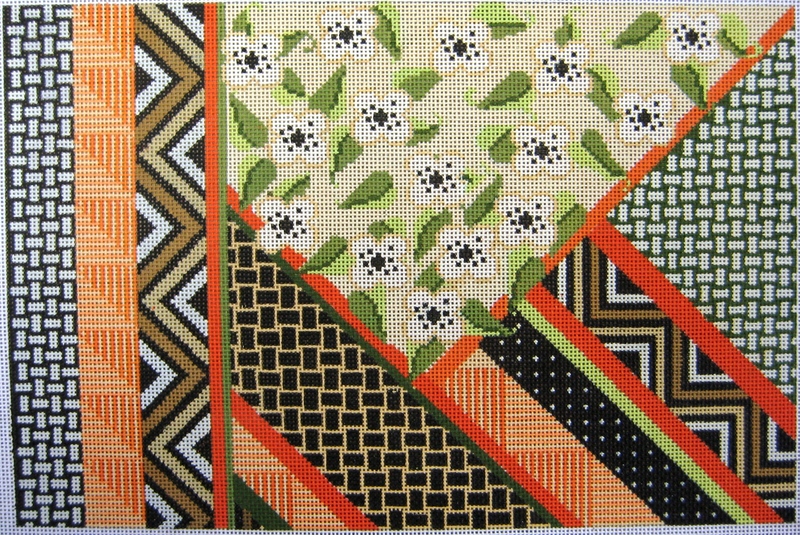 “Rainforest Crunch” from Needle Delights. 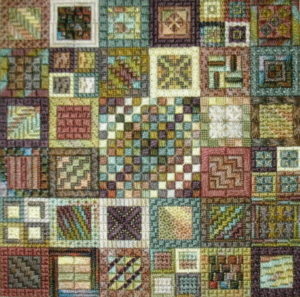 Joyce Lauener will be leading this class project and she already has several blocks done. 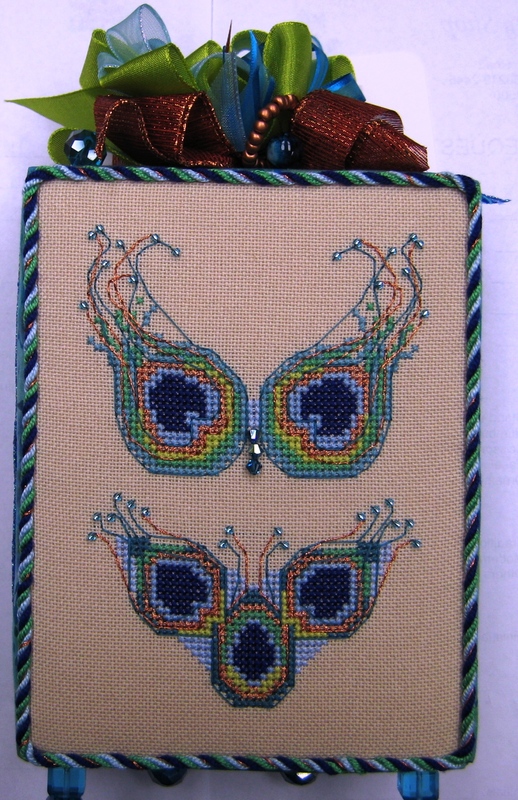 This is a great beginner project for counted canvas. 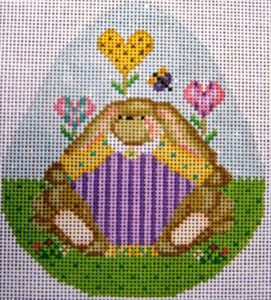 March 9, 2017 – Thinking about Spring! 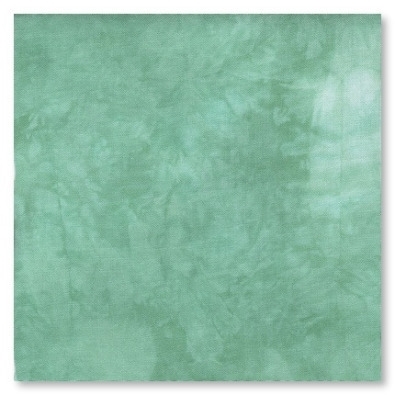 New fabric colors from Picture This Plus in 14ct, 16ct, 28ct, 32ct and 36ct! 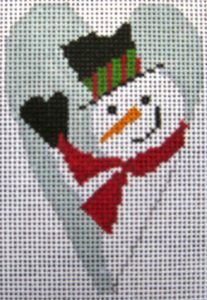 February 24, 2017 – It’s time for our first “Last Sunday of the Month Stitch-In” at A Stitching Shop on February 26! It’s a great time to come out and stitch! Take time from your busy schedule to relax! It’s time to come stitch in a well-lit area for the day with your friends! We are adding tables to accommodate the great turnout we have on this Sunday! Check out our Facebook page to see what’s going on! Only Requirement: bring something (anything with a needle and thread) to stitch on and enjoy the good company! 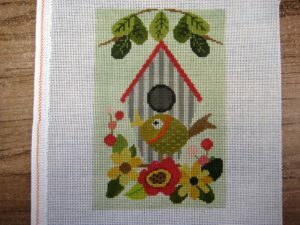 We have lots of sunshine through our big windows in the classroom….a great way to spend the day with fellow stitchers. This is becoming a popular event and the group keeps growing, so get there early! February 23, 2017 – If you are a “Just Nan fan”….here are her new releases. Let us know if you want one of these as some are limited editions! 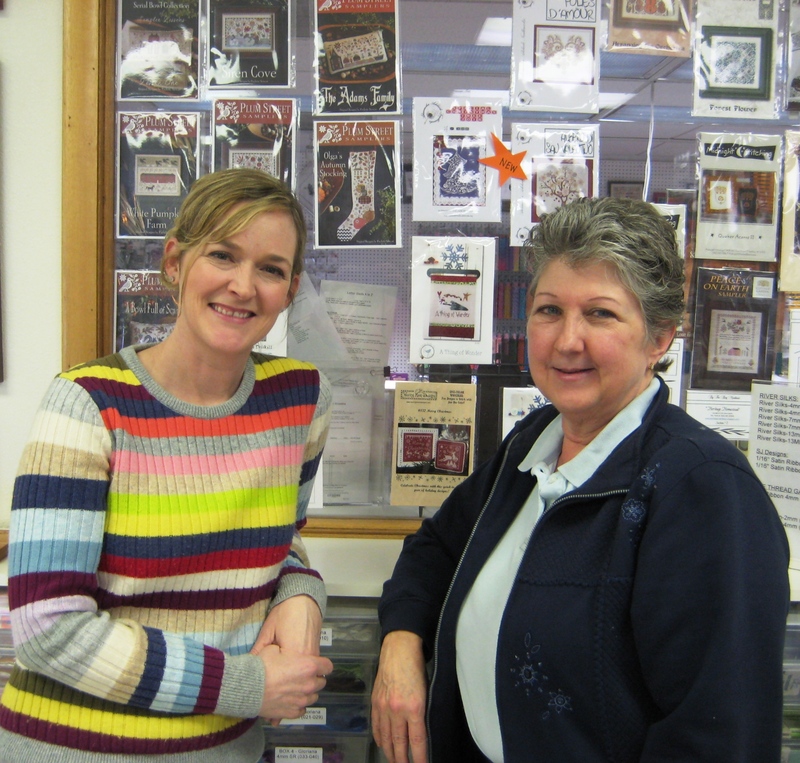 February 21, 2017 – We got a surprise visit from Paulette Stewart (Plum Street Samplers) this weekend! If you love her designs, you will love her in person! What a fun time we all had with her during the visit. Thanks to Katrina Devine for making this happen! February 18, 2017 – YES! We will be open on Monday, February 20, 2017 – from 10:00 a.m. to 5:00 p.m. for all those lucky customers who have the day off! Stop by and say “hi”! Remember, 10% off any chart with a heart on it during February. 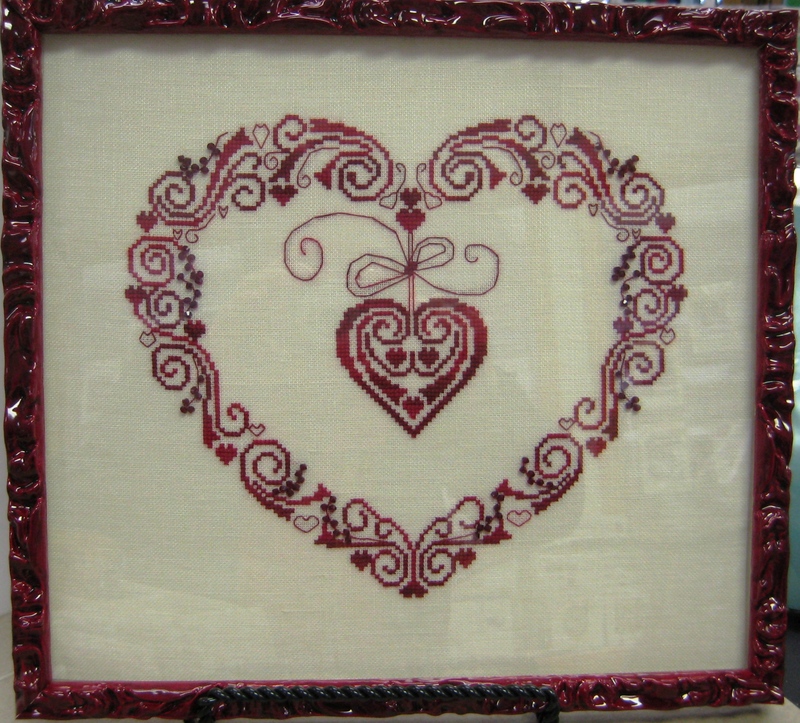 February 10, 2017 – We are offering 10% off any chart with a heart in it for the month of February! 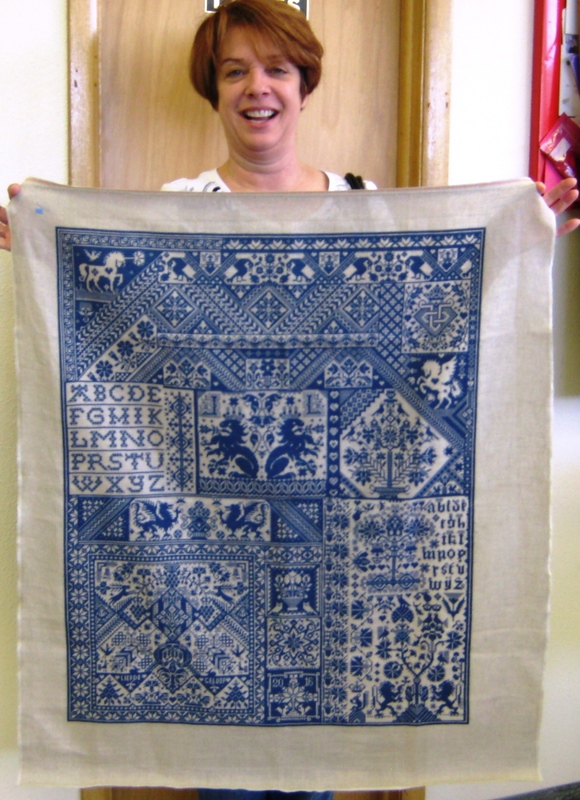 January 31, 2017 – We have only a couple spots left for the “Beginning Cross Stitch on Linen” with Claudia on February 11, 2017 from 1:00 p.m. to 4:00 p.m. $40 includes the class and the kit fee! 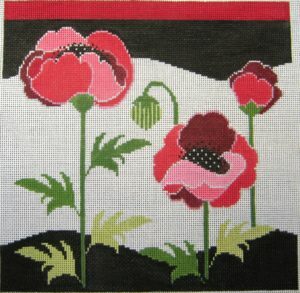 Call (303) 727-8500 or signup on our website www.StitchingShop.com. 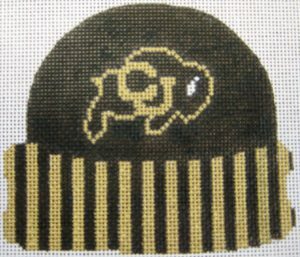 January 29, 2017 – Only a couple days left in January for the Needle Deeva Trunk Show! 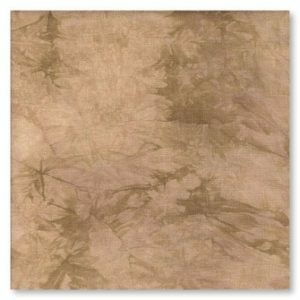 20% off canvas and threads for your canvas! January 27, 2017 – Happy New Year! 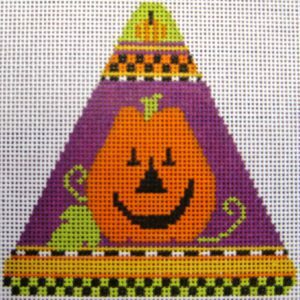 It’s time for our first “Last Sunday of the Month Stitch-In” at A Stitching Shop! 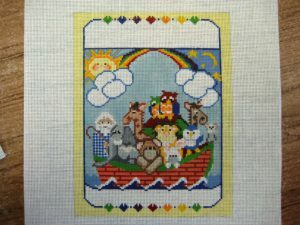 It’s a great time to come out and stitch! Take time from your busy schedule to relax! 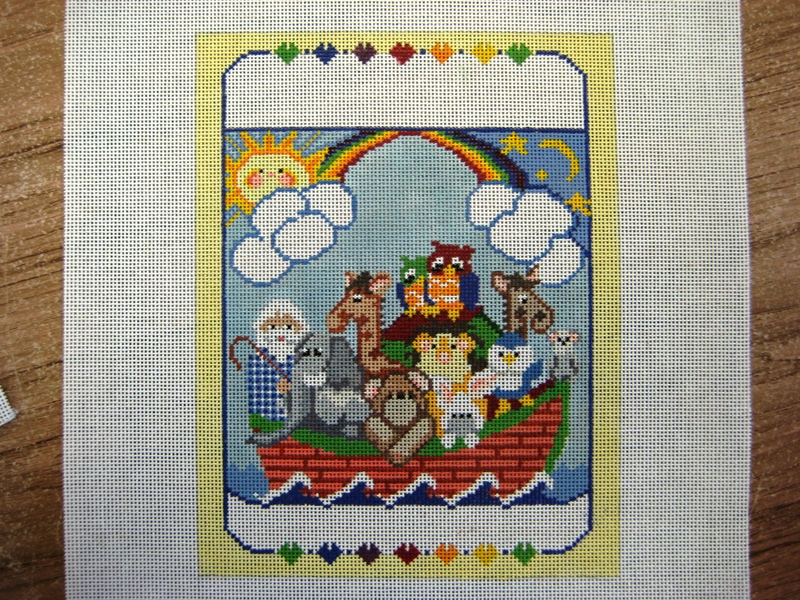 It’s time to come stitch in a well-lit area for the day with your friends! We are adding tables to accommodate the great turnout we have on this Sunday! Check out our Facebook page to see what’s going on! 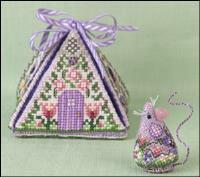 Only Requirement: bring something (anything with a needle and thread) to stitch on and enjoy the good company! 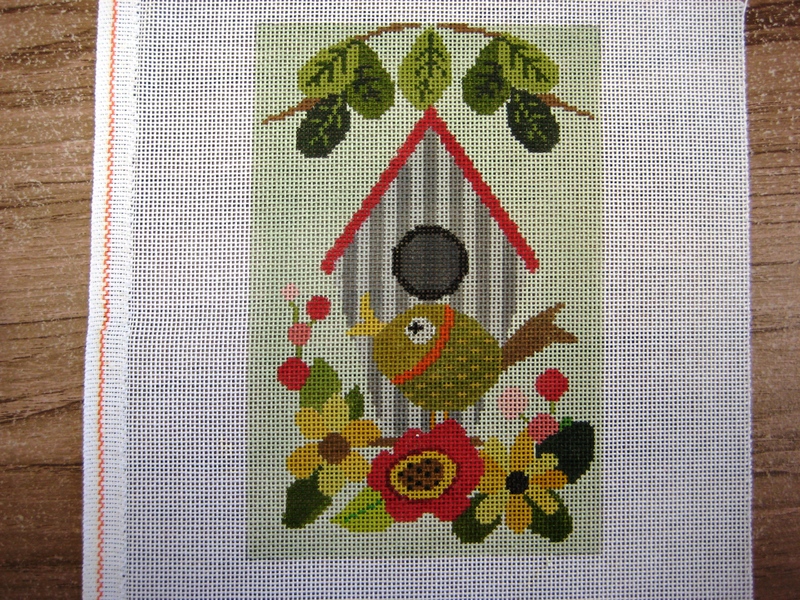 We have lots of sunshine through our big windows in the classroom….a great way to spend the day with fellow stitchers. This is becoming a popular event and the group keeps growing, so get there early! Bring a sandwich or something to munch on for lunch or bring some snacks to share. Hot spiced cider will be provided! A fun time to see what wonderful projects everyone is working on! See you on Sunday, January 29, 2017! January 26, 2017 – The new Inspirations #93 has arrived in the shop and all orders have been shipped! We have a few left, so if you’re interested, stop by or call us! 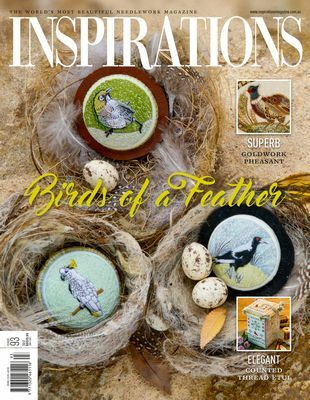 You can also order a subscription at an incredible price on the website at www.StitchingShop.com. Here’s a sneak peak! 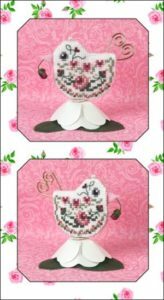 January 22, 2017 – More wonderful and fun canvases from Needle Deeva! January 19, 2017 – More wonderful and fun canvases from Needle Deeva! January 17, 2017 – More wonderful canvases from Needle Deeva! January 16, 2017 – Monday – YES, we will be open today! 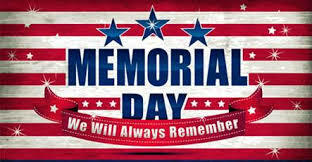 Regular hours–10:00 a.m. – 5:00 p.m. for all you lucky people getting the day off! Come in a say “hi” and check out all the new items! Great stock! Great prices! 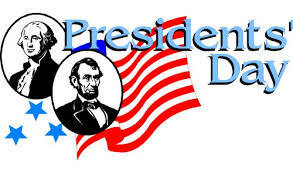 Enjoy your day off! January 13, 2017 – Some of the 400 plus canvases for the Needle Deeva Trunk Show we have at the shop! 20% off the canvases and 20% off the threads! Can’t go wrong with the variety in this show and the great prices! January 10, 2017 – Needle Deeva is our first trunk show of 2017! Let’s start the New Year off right with 20% off any of the 400 plus canvases (many with stitch guides) and 20% off any threads for your canvas project from this trunk show! This is a local designer, so stop by to see this fabulous trunk show! We will be posting some of the fun canvases….just call us if you want one you see (303) 727-8500. January 1, 2017 – Hope you are having a Happy New Year! 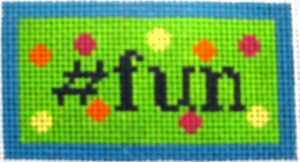 We would like to thank everyone who visits A Stitching Shop and makes it “fun” to work with you on creating/finishing your next project! 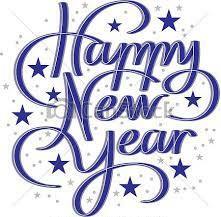 We look forward to adding more classes, groups and exciting trunk shows in the New Year! 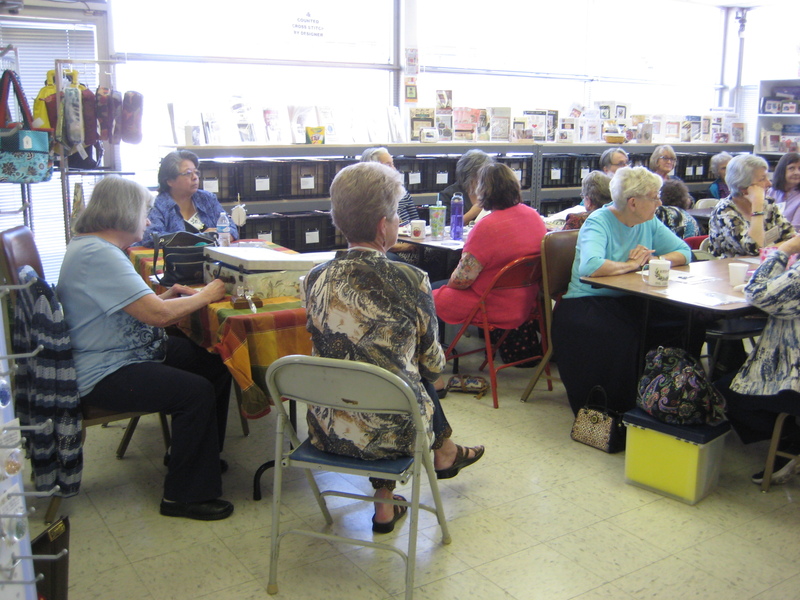 If you have an idea for a stitchy-related group, just let us know and we will get you on the calendar; there is no fee to host the groups at A Stitching Shop! 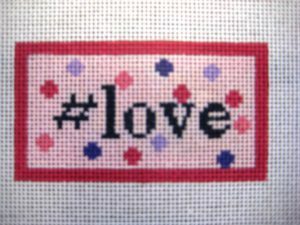 We all love anything related to a needle and thread. We are back to regular hours on January 2, 2017 (10:00 a.m. to 5:00 p.m.; Monday thru Saturday) to help you with any project(s)! 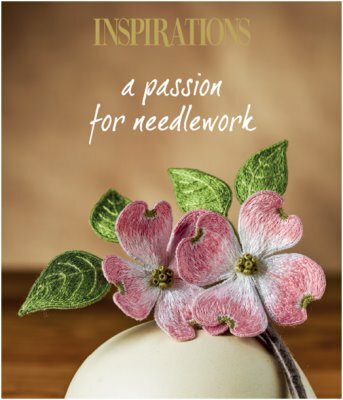 everything you need with a Needle and Thread! !